Browse your grocery aisles for sale items and stock up on foods you can store in the pantry and freezer. Load your cart with non-perishables such as canned and bottled goods; dried beans and peas; whole-grain pastas, crackers and cereals; brown rice; tomato sauces and nut butters. Plan to fill your freezer with frozen fruit, vegetables, meat, fish and poultry. If you’re thinking buying bulk perishables that are on sale, such as fresh produce, dairy products or raw beef, chicken and seafood, think ahead. “Plan in advance and make a menu of meals for the week – don’t overbuy and have food waste be a problem in your household,” says Jessica Crandall, RDN, CDE, AFAA, a spokesperson for the Academy of Nutrition and Dietetics. Canned and frozen foods can be less expensive than fresh and they’re great to have on hand when you run out of food in your refrigerator. Don’t worry about compromising on nutrition, because fruits and vegetables are canned or frozen at their peak of nutrition and quality. Do watch out for high sodium content in canned goods. Crandall suggests looking for brands with “no salt added” or “reduced sodium.” Canned food is safe as long as the container isn’t swollen, damaged, rusted or dented. This handy piece of kitchen equipment uses a moist heat method of cooking which helps tenderize less expensive but tougher cuts of meat. Crandall says you can stretch that meat dollar further by adding frozen vegetables or beans to your slow cooker recipes. Meals from a slow cooker are hearty and filling, and they make the house smell good! “Buy in bulk and freeze appropriate portions for later,” says Crandall. “Use correct serving sizes – this can help your waist line and your budget.” Batch cook and freeze meals over the weekend when you have more time. On weekdays, all you have to do is take a meal out of the freezer and simply reheat. You also can use leftovers from a roast or chicken to make a stir-fry, tacos or soup other days of the week. The more meals you make at home instead of going out, the more money you save. If you haven’t signed up for your grocery store’s loyalty card, do it now. Sometimes sale prices only are valid with the loyalty card and you could miss out on big savings. Consider purchasing the private label (the kind with the store’s name) version of packaged foods — they are usually a better value than commercially branded items. Scan your newspaper and weekly store circulars for sales and coupons for items you regularly purchase. Also, try company websites and apps for coupons. Check for in-store deals like “manager’s specials” of day-old baked goods or foods close to their expiration date. Make small changes! Everything you eat and drink matters. Start by making small changes that you enjoy. A fan of fruit? 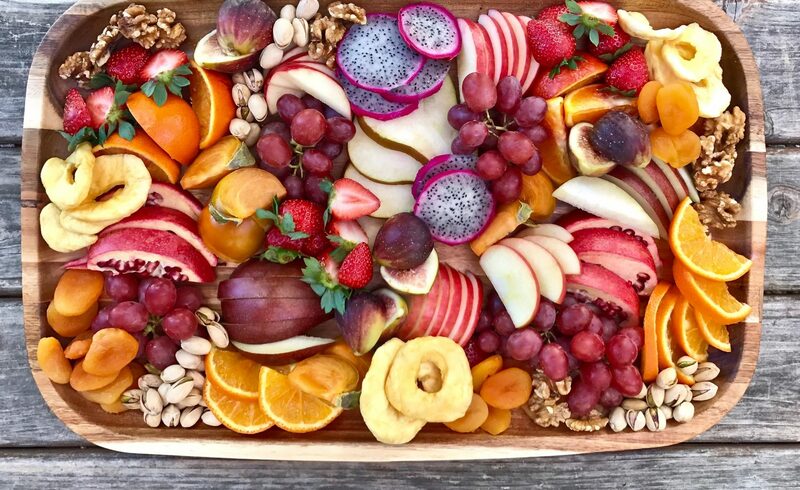 Focus on whole fruits- fresh, frozen, dried, or canned in 100% juice.